No parent ever wants to see his or her child struggling. 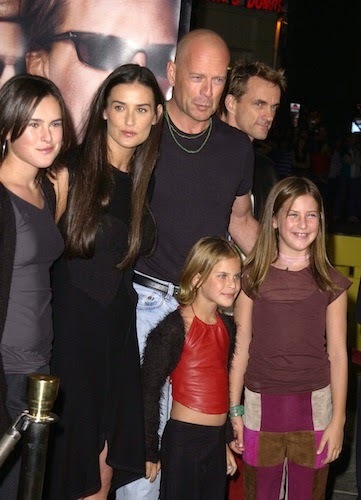 For Demi Moore and Bruce Willis, they witnessed it firsthand when their youngest daughter, Tallulah, was spiraling out of control. A new report claims the 20-year-old got herself help after her famous parents intervened. Several reports claim the young woman entered rehab, though those reports have yet to be confirmed. According to a source, Tallulah has often had a hard time coping with her family’s personal issues. When her parents divorced back in 2000, the insider claims she was “adversely affected.” A former high school classmate recalls she was deeply affected when Demi was hospitalized back in 2012. The same year, the actress sought treatment for alleged drug use. The People report claims both Bruce and Demi have visited Tallulah at a treatment center, though they don’t exactly see eye-to-eye on the situation. "If Bruce suspected that Tallulah had any kind of substance abuse problem, he would have demanded for her to get help," the insider continues. "Demi's take is that Tallulah is still very young and trying to find herself."